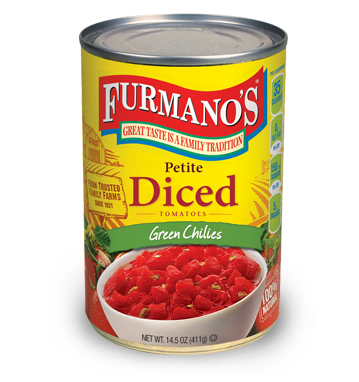 In a large bowl, combine Furmano's Petite Diced Tomatoes, corn, Furmano's Black Beans, oregano and granulated garlic. 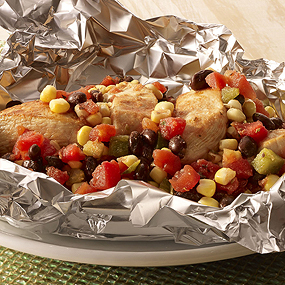 Spray a 12"x12" piece of aluminum foil for each of the chicken breasts. 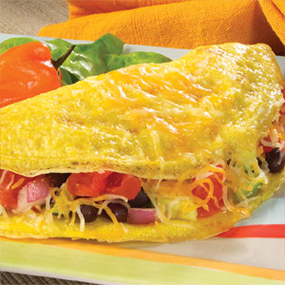 Top the chicken breasts with the tomato corn mixture followed by the cheese evenly divided. Close the foil around the chicken, leaving a little space above the chicken to keep the cheese from sticking and allow the steam to gather. 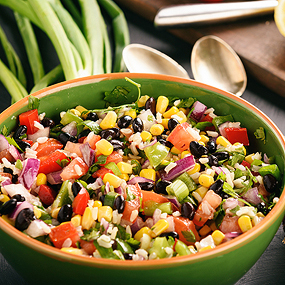 Place packet on a preheated grill or around your campfire for about 20 minutes or until chicken inside is cooked through.